Chevy Celebrity made use of the Oldsmobile diesel engine from 1982 to 1985. The changeover from a traditional gas engine to the diesel created some problems for car owners. There were some complaints with the early versions of the V6 4.3L diesels that were produced. A couple of lawsuits helped fix the problems and the 4.3-liter Oldsmobile diesel lived an extended production life. While this engine was used in the Celebrity for just a few years, GM produced millions of them. Our Chevy Celebrity 4.3L diesel engines are in the condition that you expect. Here at www.dieselengines.co we are professionals. We sell thousands of used and rebuilt diesel engines year after year and have just as many satisfied customers. Our Chevy Celebrity engines fit perfectly into the compact car versions and the wagon versions. Each of these vehicles sold well for GM and were mainstays in dealer inventories around the country. Since these engines are still in use, finding one is not as difficult as you might have thought. The only thing you need to be aware about is what dealer that you select to provide diesels to you. Our reputation is unmatched for an online seller. You will never find us being talked about negatively on engine forums around the country. That says an awful lot. Engines come out of our warehouse and are routed to dealerships, salvage yards, body shops and to the homes of average people. All it takes is a professional installation and our diesels are good to go. You won’t have installation setbacks because no additional steps are required. You just lower each engine in, hook it up correctly and start it up. There is no extra work involved because all we deal with are OEM versions. Each Celebrity V6 that is accepted in our warehouse is tested and re-tested before it is allowed to be sold. This instantly stops any type of problem that could be lurking inside of the engine block. We process little to no claims for parts warranties each fiscal year. That should tell you what you get into when you buy our engines. We trust dyno testing. This process is rarely used by online engine sellers due to the costs. There might be one or two other dealers that have the money to buy the equipment needed. Each V6 diesel from Chevy that is evaluated first goes through our manual engine inspection. We use these very notes to compare the dyno testing data. We are rarely surprised by the data that comes out of the computer. A Chevy Celebrity engine bought from us will allow you to put any amount of miles on it during your ownership or client ownership period. Not only are we different in quality and in inventory, we have upgraded our website to give prices automatically online. 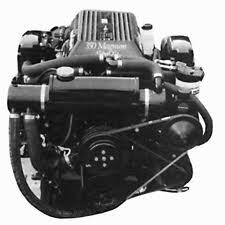 We developed a Chevy 4.3L engine quote form. This forms asks a question or two and takes about 30 seconds to use. This form saves you money. If you want to call, call us now at 1-877-630-3877. This is our quote line. Ask a question or place an order today. We’re your friend and your partner not your seller.